Have you ever found yourself searching for the perfect last minute gift (or any gift for that matter) or on your way to a gathering with nothing in hand? Or maybe you just want to congratulate a friend on a new promotion at work or support them through their latest breakup. Well, lucky for us, there’s an app for that! 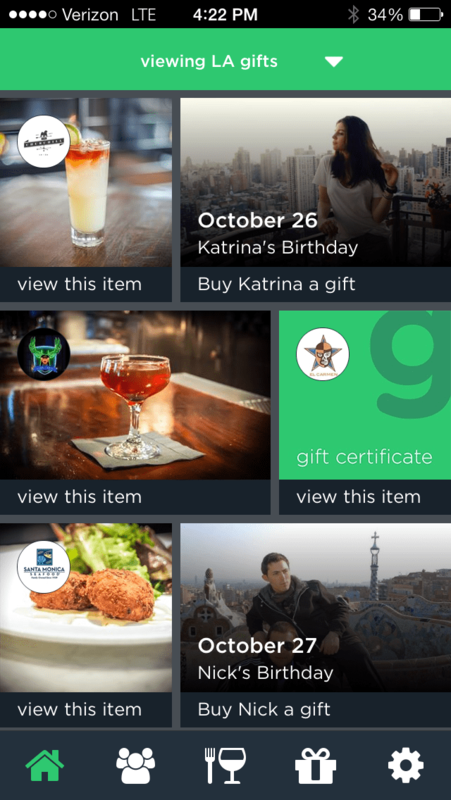 Originally started in Seattle, co-founders Brian and Ryan and their crafty tech team recently launched version 2.0 of the social media gifting app, Gratafy, and expanded its reach into the Los Angeles market. So what is this handy app? It’s all in the slogan, “Gifting outside of the box.” Gratafy has made it easier than ever for you to buy and gift to friends and family, virtually instantly, in the palm of your hand. 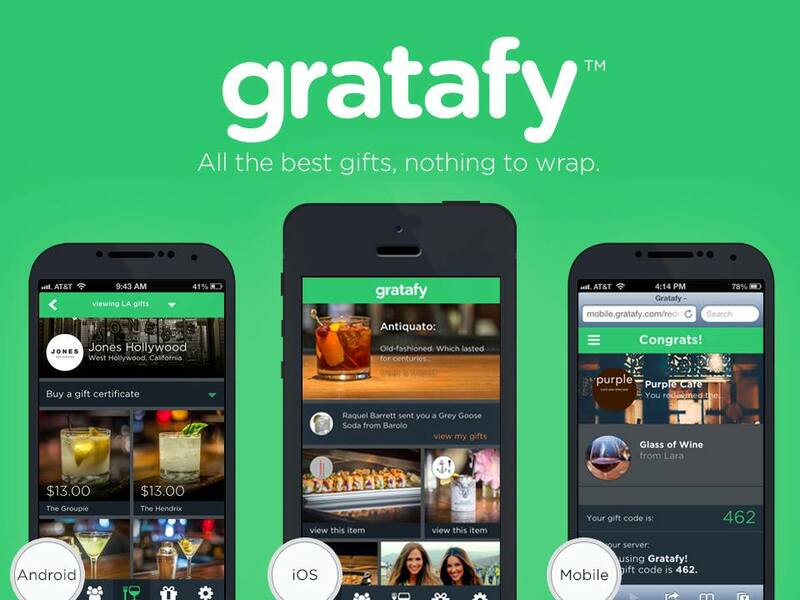 Gratafy is a social gifting application currently linked to the social media platform Facebook. 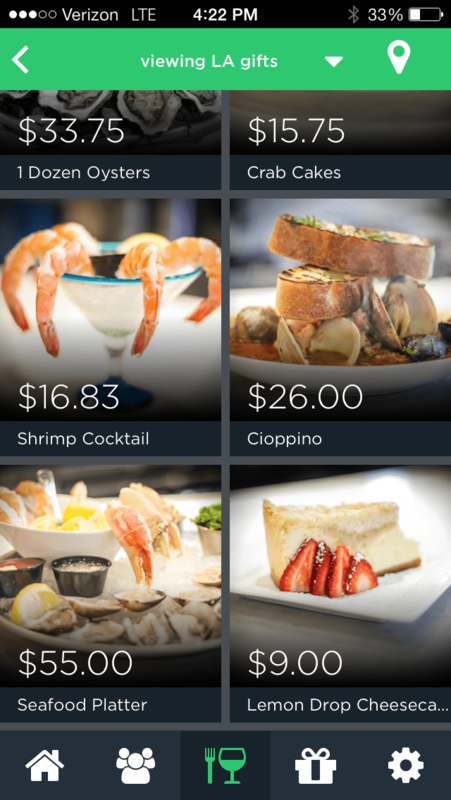 Gratafy has partnered with over one hundred bars and restaurants throughout Los Angles and Seattle, and is continuously adding more. Although menu and drink items vary by venue, some allow you to select a gift card option if you aren’t sure what option best suits your loved one’s palate. The thing we love most about this app is that it is all-inclusive. What does this mean? 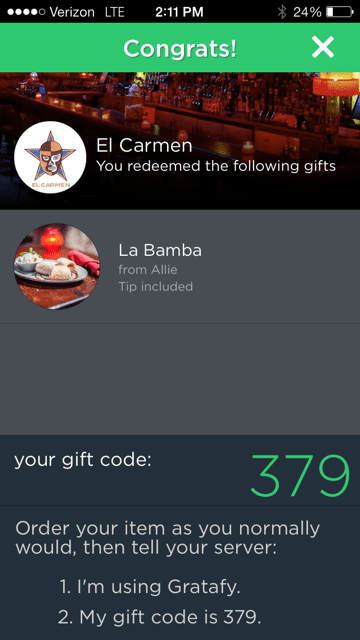 When you gift someone a drink, dessert or menu item, it automatically includes tax and tip so your giftee is all taken care of. After signing up, the app links to your Facebook so it can sync friends and birthdays with the device. It then prompts you to select your city, and the screen loads options of venues in your area. There are multiple searching options available that let you choose how to gift: the occasion, recipient or location. What makes this gifting platform so efficient is the home screen that displays birthdays coming up so you never miss out on someone’s special day. You can then choose the item you would like to gift, and send it through text, email or Facebook, with the option to include a special message or note. 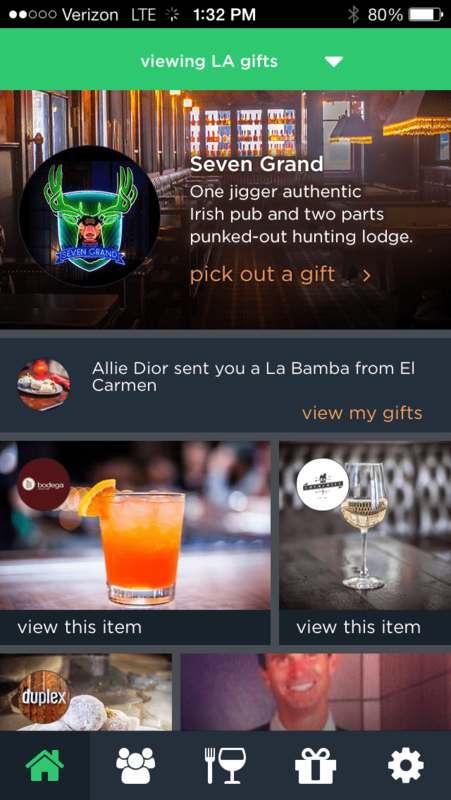 If you are sending someone a gift that does not have the app, it will send him/her a message that prompts them to download the app and receive their gift. Once a gift is sent, it can be located under the “my gifts” section, marked by a package icon. 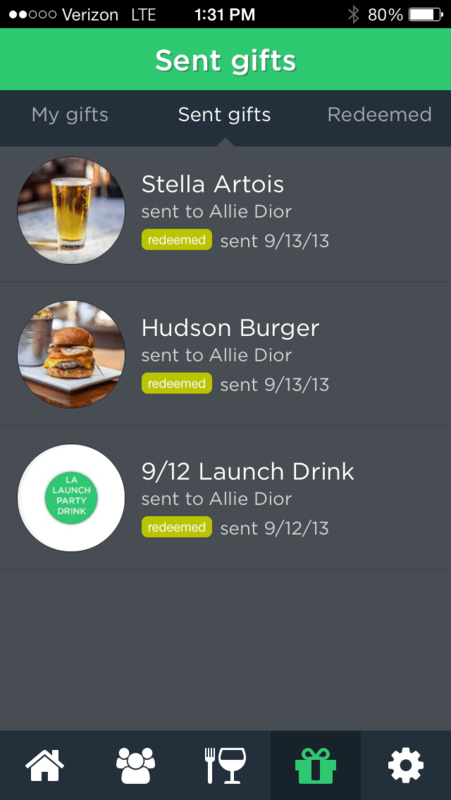 When they are ready to use it, they simply hit redeem and are given a code that they then present upon ordering. 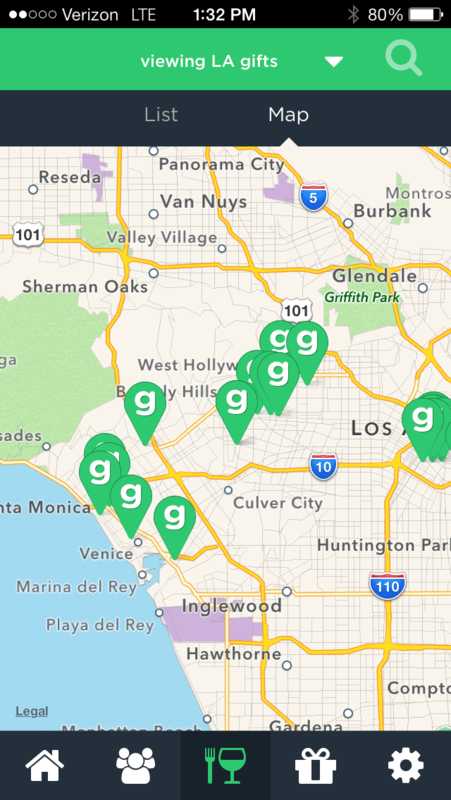 Although Gratafy currently serves the Seattle and Los Angeles market, plans of expansion are underway and nationwide locations will soon be available. Enhancements and options are frequently being explored. In fact, although it connects you to others using Facebook, we discovered this will soon be available to those who are not on the social media site. For more information, visit www.gratafy.com or download the app for free today. 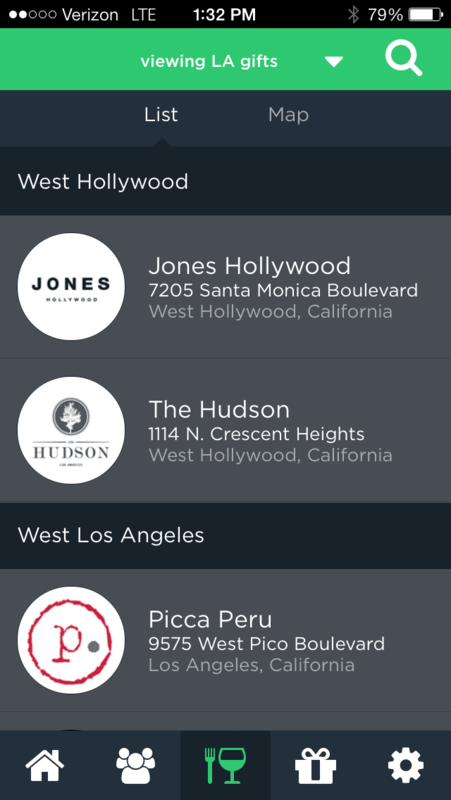 This entry was posted in Cocktails, Food, Lifestyle and tagged giftingapp, giftingideas, Gratafy, Gratafy Los Angeles, Gratafy Seattle, lastminutegifts, social media application, social media gifting app by admin.